It’s so fun to get festive for the holidays. Finding a recipe you can make that is quick and easy is even better. 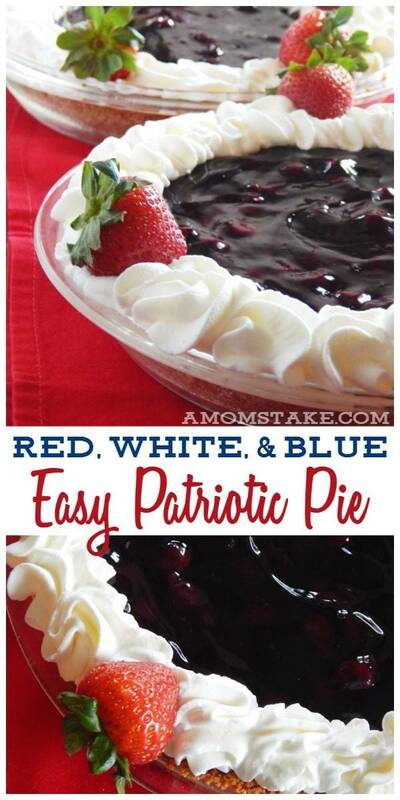 That’s white we’re loving this so easy Red, White, & Blue Patriotic pie! You’ll be able to whip together this whole recipe in about 15 minutes. Let’s get started! 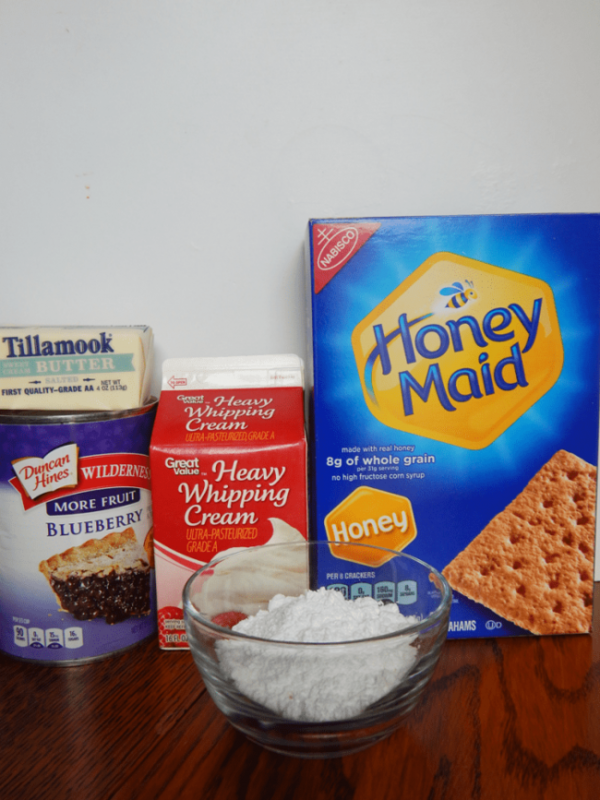 In a food processor blend up the graham crackers until fine. 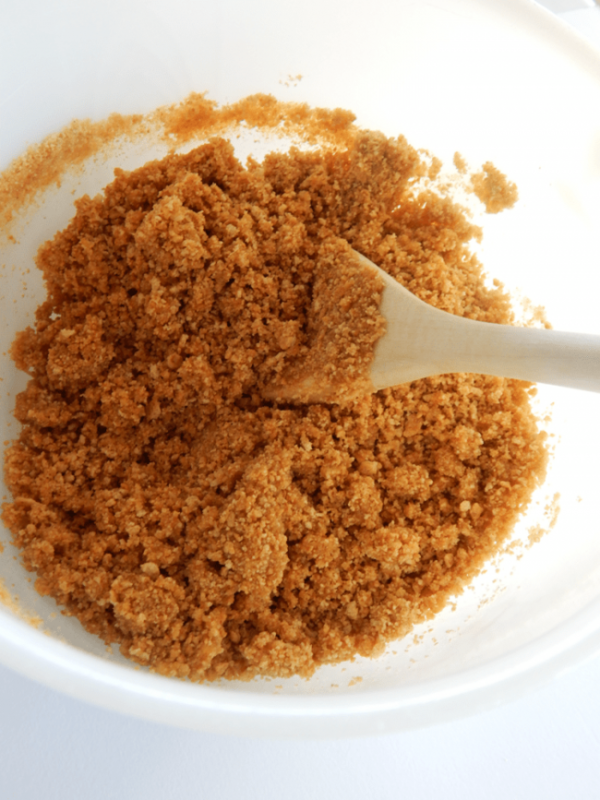 Add graham crackers crumbs into a medium sized bowl and add in the melted butter and stir until all is combined and it starts to become thick. 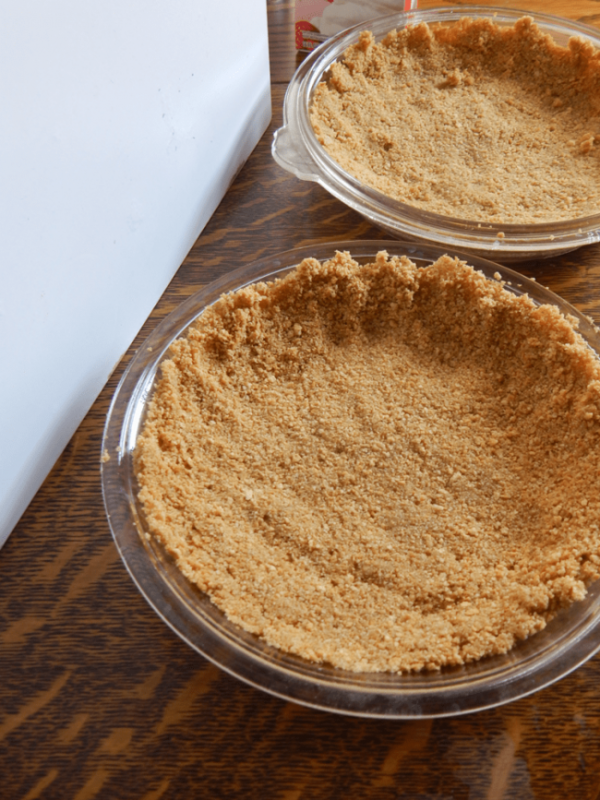 Grab 2 pie plates and pour the buttered graham crackers into each pan and press down until it is firm. Cook in the oven for 10 minutes. Once cool add in 1 can to each pie crust. 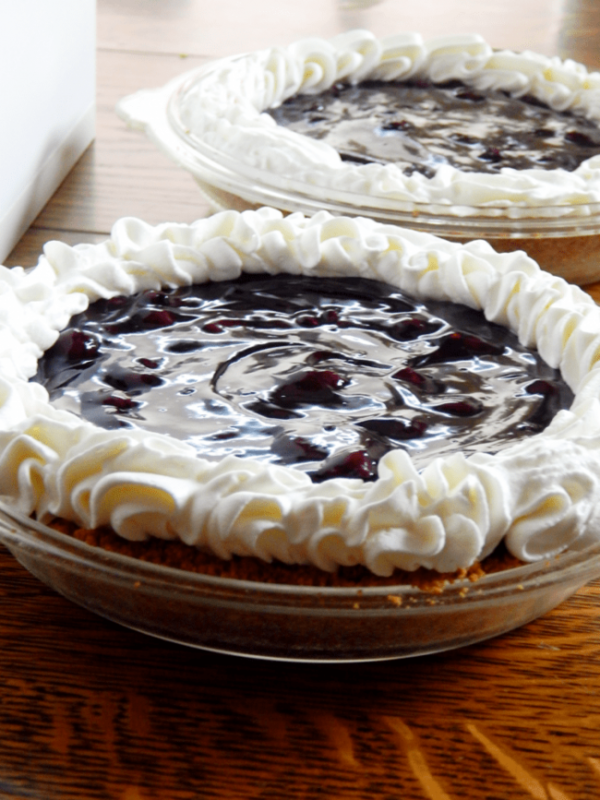 Refrigerate the pies and start on the homemade whip cream. To make the whip cream whip the 2 cups heavy whipping cream with the powdered sugar until it is stiff. 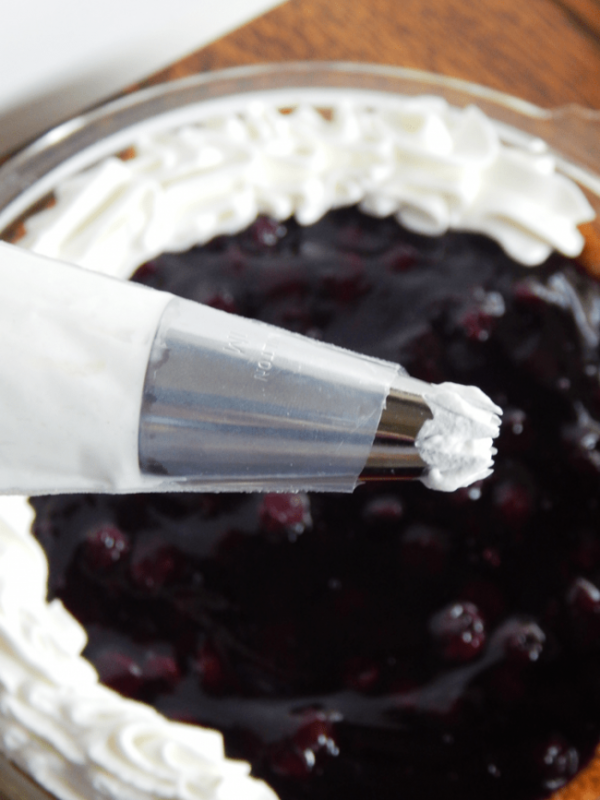 You can either spread on the whip cream with a knife or you can pipe it on to make it fancier. Add on strawberries and that’s it! Enjoy! In a food processor blend up the graham crackers until fine. Add in melted butter and stir until combined. Press buttered graham crackers into 2 pie pans. Cook for 10 minutes. 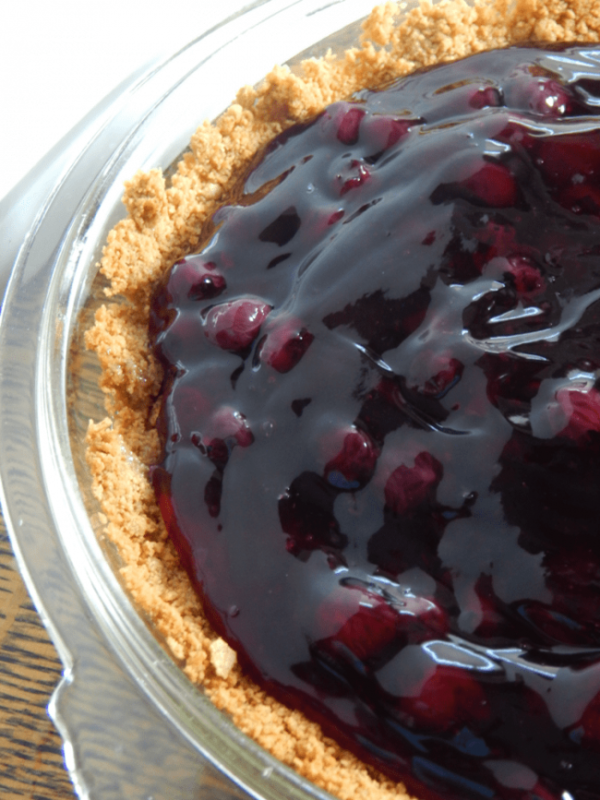 Cool crust and add 1 can blueberry pie filling into each prepared pie crust. Beat whipping cream with powdered sugar until stiff. Spread or pie on top of pie. Top with strawberries and serve. 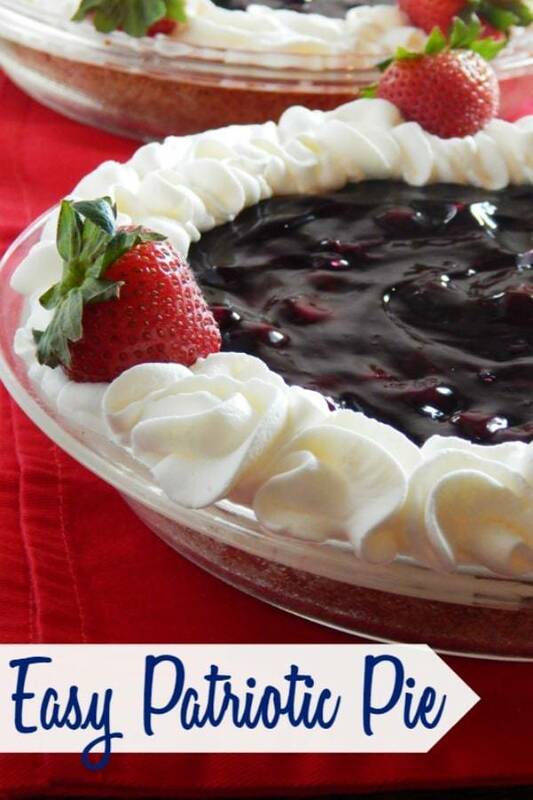 Do you have a favorite festive patriotic recipe you like to serve to celebrate the holidays? That sounds SO GOOD! I love blueberry pie. It’s such an awesome flavor, and you did an amazing job on this. Om nom nom. I do love a good pie. I tried my hand at blue once and was surprised at how many “blue foods” don’t look blue in a recipe, like blueberries. NO matter the color if it looks good I’ll eat it. So easy and pretty for summer! I always have a Memorial Day BBQ so this would be a nice addition. Every year we make patriotic strawberries. It’s getting tiresome – this looks like a good replacement! I make a version of this for all of the patriotic holidays, and it is received so well! I may have to add this particular pie to our lineup though!